We are honored to invite you to join us during the 10th edition of the International Conference: Progress in Uro-Oncology, which will take place between 19-20th September 2019 at Kronwell Hotel in Brasov. This year we host an anniversary edition of our conference, as we celebrate 10 years of robotic surgery in Romania. 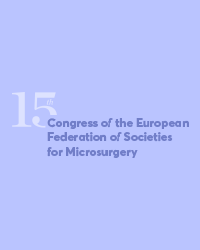 We aim to promote cutting-edge minimally-invasive surgical techniques (3D laparoscopic surgery, robotic surgery) by live and pre-recorded surgeries, as well as the latest minimally invasive therapeutic procedures on the border between several specialties (urology, radiology, radiotherapy) in the field of oncological urology. One of the main goals of this conference is the development of multi-disciplinary collaboration for the treatment of urological malignancies in order to ensure the best oncological results and quality of life for our patients. Every year, this conference brought together over 30 internationally renowned guests from countries such as Italy, Greece, Poland, Bulgaria, Hungary, the Czech Republic, Israel, as well as more than 200 participants from our country and abroad. We hope that this year you will be one of them! See you in Brasov!